RALEIGH (WTVD) -- The Senate Intelligence Committee - chaired by North Carolina Senator Richard Burr - has invited fired FBI Director Comey to appear in closed session next Tuesday. Former FBI Director Comey has been invited by the Committee to meet in closed session on Tuesday. The move comes after Senator Burr told reporters Wednesday that the surprise firing by President Donald Trump is hard to understand. "The timing of it and the reasoning of it make no sense to me," he said. After the firing, Deputy Attorney General Rod Rosenstein outlined the reasons for firing Comey in a memo that said he was wrong to announce his conclusion that the investigation into whether Hillary Clinton mishandled classified information should be closed without criminal charges. "The reasoning from the DAG's letter dealt with an election issue that was from last year. 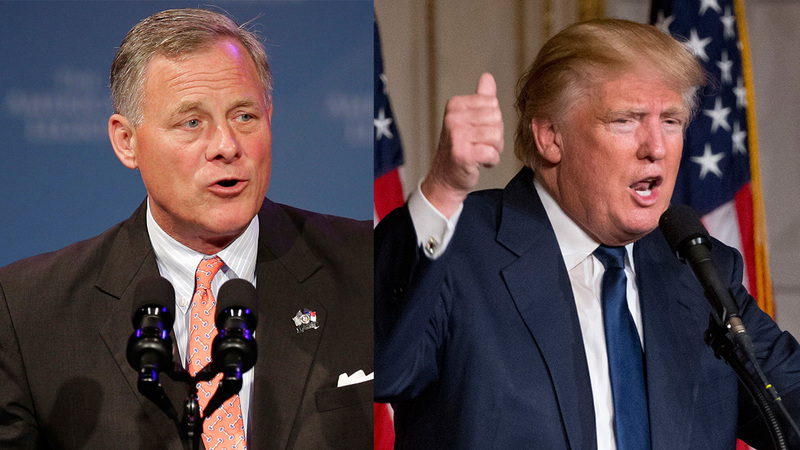 If that was the impetus behind this, it should have been done on Inauguration Day, not in May," said Senator Burr Wednesday. He suggested that there was another motivation for the White House to fire Comey now. "So the question is did something happen between now and then?" he offered. But Burr said he does not support hiring a special prosecutor - as many Democrats have called for. He explained his committee has the jurisdiction and responsibility to continue its Russia investigation and "we are going to do that." And, Burr said that the firing "made our task a little more difficult but it didn't make it impossible so we'll continue." Burr said he spoke to Trump but wouldn't detail the exchange. He said they didn't discuss his committee's investigation. Burr also said he spoke with Comey on Monday. He did not say if they discussed Comey's request for more funding for the Russia investigation. Speaking to reporters Wednesday, President Trump said Comey "was not doing a good job." It was Trump's first public remarks about the firing. Trump briefly spoke to reporters in the Oval Office after a closed meeting with Russia's foreign minister. Administration officials have said the firing was not related to the investigation into possible contacts between the Trump presidential campaign and Russia. Earlier Wednesday, Trump tweeted that Comey had "lost the confidence of almost everyone in Washington, Republican and Democrat alike." He added: "when things calm down, they will be thanking me!"